Amazon is introducing a new variant of the Echo voice assistant, Echo Look. It is currently available only by invitation at a cost of $199. It is aimed at helping people make better clothing style choices. However we think Amazon is playing a longer game – to take a significant stake in augmented reality (AR) assisted shopping. 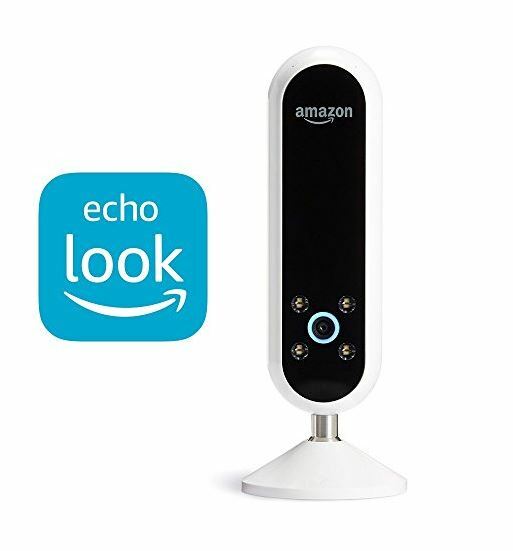 The Amazon Echo Look includes depth sensing cameras and LED lights. It responds to voice commands to take pictures and short videos. 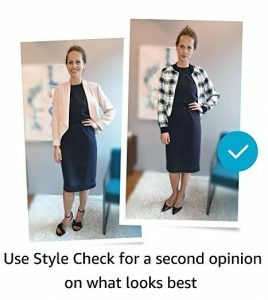 An associated cloud service can also guide the user to make the ‘best’ choice between outfits based on a combination of machine learning and fashion consultants. How Amazon Echo Look will create a change? We think Echo Look is significant, not for what it is initially offering but for its longer term promise to address some of the fundamental issues that face the fashion retailers in using online channels. In our discussions with European online fashion stores, we have learned that returns from consumers are often around 50%. This is considered normal. This is a significant cost to both the retailer and the consumer. For the retailer in handling returned goods and shipping costs. For the consumer in having to repackage goods received and organise their return. In some cases the retailer picks up the return shipping cost, but often the consumer is expected to pay. Anecdotally we know of many shoppers that don’t bother with the cost and hassle of returning clothes, but never wear the garment either. They are often put off the experience of online clothes shopping for as a result. – Sizing is a tricky issue. Clothing manufacturers have resisted attempts to standardise sizing for many years. A women’s size 8 from one manufacturer may differ markedly from another’s. And accurately measuring your own sizing is a non-trivial task. – What further complicates clothing choices is body shape. People generally conform to one of number of body shapes – irrespective of their actual size. Certain styles and cuts of garments suit some body shapes – but really don’t work for others. – Colour is the third element. There are colour consultants that have made a business out of advising consumers on which colours work best for them – but for everyone else, it’s a matter of trial and error. Garments in online stores are photographed worn by professional models that make all garments look good. However the chances of the garment looking as good on the consumer are low. Therefore a technology that allows a consumer to ensure that clothing they buy online will not only fit them for size, but also suit their particular body shape and skin tone, would likely create a major retail disruption. It could also open the door to rapid tailoring or ‘make-to-measure’ garments. We believe this is the long game that Amazon is playing. Using a depth sensing camera should enable the Echo Look to accurately measure the body dimensions of the consumer – a standard reference may be needed to ensure complete accuracy. This will give both size and body shape. Skin tone is difficult due to variability in lighting, but it may be able to approximate satisfactorily. Amazon would then be able to generate a piece of data that encodes the consumer’s details and that can then be used to recommend clothing based on analysis of matching size, style and colour with a high probability of success. The application of AR would be able to show lifelike images of how a particular garment would truly look on the consumer. As with most forms of artificial intelligence the more data that the system ingests and analyses, the better and more accurate it will become. Amazon has sufficient reach that it could likely achieve the sort of scale where machine learning delivers significant consumer benefits. At that point it will hold a massive disruptive potential in going more deeply into fashion retailing directly. Or, more likely, it chooses to partner with existing fashion retailers, offering to provide the encoded consumer data so that fashion retailers can improve recommendations. The business model would then be one of taking a small margin on improved revenues from enhanced customer satisfaction and cost savings from the reduced returns. 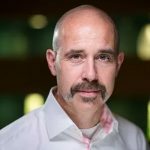 Amazon is one of the few companies capable of delivering a solution of this type and enabling the industry to benefit from it. Google is perhaps the only other. Fashion retailers themselves, while clearly needing a solution, are poorly placed to provide one and will likely have to rely on a third party technology partner. That partner, for now, is likely to be Amazon. This is why we think Amazon Echo Look is much more than it first appears.